Home / Uncategorised / Global Radio's Irish sell-off: where does it leave local DAB? Global Radio's Irish sell-off: where does it leave local DAB? Global Radio has confirmed it is selling 8 stations to Irish radio company Communicorp, subject to regulatory approval in Ireland. The sale is a result of Competition Commission proceedings following Global Radio's acquisition of GMG Radio, owner of Real and Smooth Radio. The Competition Commission ruled that Global had to sell stations in South Wales, North West and North East England, the East Midlands and Scotland due to competition concerns over its control of the radio advertising market. 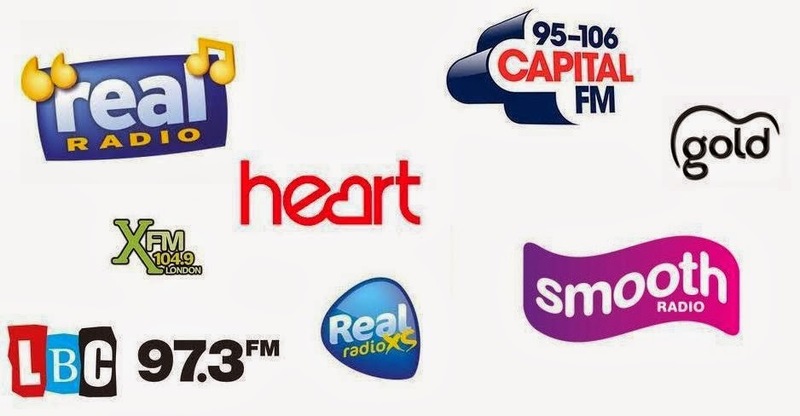 Under the agreement with Communicorp, Capital South Wales, Capital Scotland, Smooth North West, Smooth North East, Smooth East Midlands, Real Radio Yorkshire, Real Radio North Wales will be under the Irish company's control, but run as franchises with Global Radio continuing to provide networked programmes and selling national advertising. Real Radio Yorkshire and North Wales will become Heart. The current Heart North Wales will be flipped to Capital North Wales, subject to Ofcom agreement. Communicorp will also take over Real XS Manchester, but what will become of that station is still unknown. Smooth will replace Gold on Medium Wave (AM) frequencies except in London, East Midlands and Manchester, where the station is already on FM. The long term future for Gold is still unclear, with Global Radio also planning to launch a new station on national DAB multiplex Digital One, focusing on music from the 70s, 80s and early 90s. Smooth Radio will shortly leave national DAB, but is expected to take over from Gold on local DAB, where the station replaces Gold on MW/AM. As a result of its departure from national DAB, the station will be required to resume broadcasting 7 hours a day (Mon-Fri) of regional programming on its FM services in the regions. Currently, the service is confusingly replicated on DAB, with one service in stereo and with local adverts, and the other in mono with national adverts. XFM will be expanded and take over Real XS in the Glasgow area on FM. It is expected that this will cause the replacement of Real XS with XFM on the Ayr and Central Scotland multiplexes. So how will the changes affect the availability of Global's key stations on DAB digital radio across the local DAB multiplexes? Within Greater London, no changes are expected. On national DAB, Smooth will be replaced by a currently unknown station. Removed, as Real Radio on Central Scotland mux becomes Heart (Scotland). The replacement for 70s to 90s might end up under Smooth branding and be like Capital Xtra be a sister station however Heart and Magic it could be said often overlap including these genre groupings when Gold which is mainly for those who like 50s to 80s of now is rather unique particular the early decade eras playouts. "the station will be required to resume broadcasting 7 hours a day (Mon-Fri) of regional programming"
We do not need to think much why to know why they ditching the DAB national model in favor of the many model and that obviously is the abilities to localise advertising though I sure many know what Global really wants if they could get away with what they really wanted having the national reach like a BBC national station which would network 24/7 so to cut down on staff and wages, one stream nationally of each service but have a way to maximise ad revenue with selling of local advertising. For the listener it would be better if they created a couple more national DAB multiplexs and given slots national stealth networks that 'local commitments' model is breakfast, drive and advertising by all broadcasting groups particularly clearing 'national wannabes' (i.e. Heart) from local DAB with a requrement to broadcast on a local DAB you need to be broadcasting from a local studio that in the catchment and broadcast locally say 6am to 10pm (reasonable hours really) where viewers should be expecting localness and it generally accepted a station can use computer playout systems during the night. To be perfectly honest with you we need a far better station than Smooth and Gold put together that play Classic Hits from the 60's-late 90's/early 00's and even if some of the era's are the same as Heart just with total different songs with a much wider playlist Simple Minds,Bon Jovi,Shalamar and too many more to name.Cos Gold play too much old upbeat music and Smooth generally stick mainly to Soul music or usually fairly soft music Magic play a very good mix of music certainly is better this year than last year. Central Scotland (Regional Multiplex) - shame they not have considered to additionally add Capital and Smooth and free Glasgow and Edinburgh Local DAB from Global. They could additionally considered if the future was more certain gave Scotland Audience - Gold. Sadly England and Wales could not really have the potential now to echo the regional Central Scotland Multiplex lineup on Regional Multiplexes as it is a shame MXR regional multiplexes have closed down. The last MXR regional is Yorkshire, though it closedown/expiration is upcoming (2015 IIRC). That was a thorough examination of the situation! Note that the above local DAB info is based on what we know now and changes may still happen. Anyway when is Smooth due to take Gold over apart from in London/Manchester/East Midlands where Smooth already exists? A real shame to see Real Radio become Heart in Wales and the North West - Real Radio is far superior. Heart only seems to have about 10 songs on their playlist, and 9 of them are Adeles! Good point though I will say Wave 105 on the South Coast are far better than Heart and Real Radio put together as their Golden Hours range from 1964-1999 3 Monday-Friday 3 times a day and Saturday and Sunday twice a day and believe me their playlist is very wide though I will say Real Radio is better than Heart as I can remember 6 years ago or more when Real Radio was on 1 of the London DAB multiplexes it was better then than it is now as I heard them play some Cliff Richard and some Beatles as well as a lot of other stuff like I can remember they had a Madonna weekend and a Micheal Jackson weekend. Yes Heart really are terrible they say more music variety but it is literally about 20 songs on a loop, pruned down to 3/4 length. Yes Heart can't even play their songs in full, and some even get the chop at about 50% playtime. Poor station that should never be allowed on air, bring back real! To be honest the music that Gold play is far older than it has ever been as when Classic Gold and Capital Gold merged and formed Gold when it was all about the music there was 6 decades of music 50's,60's,70's,80's,90's and some 00's and I thought Gold was great then espically Greg Edwards Soul show which I prefer to Andy Pebbles Soul train and also I remember Gold then had a couple of Rock shows on the radio then as well.Gold shouldn't have needed to take their music back just cos Heart was taking over a lot of FM stations throughout the UK I think around 2009.There was a lot of music Gold was playing around 5-6 years ago you wouldn't hardly expect to hear on Heart like Simple Minds as it is Heart just play the same 200 songs.If anything Real Radio should take over all of Heart espically as I have heard Real Radio play Cliff Richard which to me as a real bonus and heard Real Radio play The Beatles and James Brown all right through to the current Top 40 to me that's a real proper FM station playing a bit of everything from all era's. I think Smooth Radio is far better than Gold Radio anyway as they play a great mix of music though out of all the London stations I listen to Magic as they play a bit of everything though my 2nd favourite station in London that was local and now is about to become local again is Smooth London they seem to focus more on Soul music than anything else which is my favourite type of music though generally it's far better to have a radio station that plays around 1000 different songs during the week.I listen through an internet radio to Wave 105 record them a lot espically their Golden Hours as they do years from 1964-1999 and this is an FM station were talking about here a local 1 on the South Coast and they play Cliff Richard,The Beatles,Madonna,Elvis Presley,Micheal Jackson,Bee Gees and a lot more besides and play a lot of the music that's in the charts now and keep up to date with the charts though they don't broadcast Sunday's Top 40 which makes them very unique which makes them better than a lot of the network stations put together.So I really hope if Gold and Smooth then become non-existent there will be station far better than both of them put together playing 60's-early 00's Classic hits or maybe 60's-90's playing maybe some of the same era as Heart just totally different songs.I don't know about anyone else here I can think of loads and loads of songs from the 70's,80's and 90's I've heard on Gold,Magic,Wave 105 that either Heart have never played or haven't played for years. Please as soon as anyone here's anything what when Smooth is taken over all AM stations which don't include AM stations in Greater London/Manchester and the East Midlands please either reply to my comment or please write it on here and the same goes for if Gold and Smooth then become a new station or any updates then please write a comment in reply.Thanks.